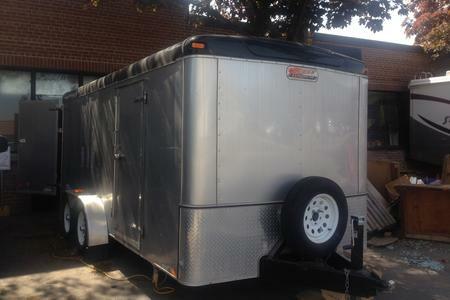 Our trailer functions as a workshop on wheels. We go wherever production goes with all the tools we need to see a project through. Whether we're downtown in a parking lot or in the middle of a national park, we always have what we need on hand. After all... one does not simply walk on to set any more than they simply walk into Mordor!